When you think of companies who innovate and come out with compelling new features ahead of the competition, Apple may spring to mind as a leader in that area. However, as this new commercial from Android seeks to remind you, Apple isn’t always first with new, innovative concepts and products. In fact, where the “cloud” is concerned at least, it would seem Apple is well behind another upstart tech company: Google. Today’s newly released Galaxy Nexus/Android commercial highlights that idea. In a nutshell, the commercial reminds users (and potential users) that you don’t need a separate “cloud” service add-on to take advantage of those features in an Android/Google world, you just need an account. An account you probably already have. To take advantage of this service, simply sign-in to your Google account on your Android phone and you have access to it all: email, contacts, calendars, browser info, and more. It’s really that simple. Let’s face it, Apple is a great company that does a lot of things well. Sadly, they haven’t ever really gotten the whole “cloud” thing right. Not with .mac, not with Mobile Me and not really with iCloud either. Google, on the other hand, has done a great job and was pretty much there from the beginning before the “cloud” was even a thing. Let’s give credit where credit is due. Google does it right. Check out the new commercial after the break. If you’ve been paying attention you probably know that Google is in the process of revamping Gmail and its interface to offer new features and new looks. 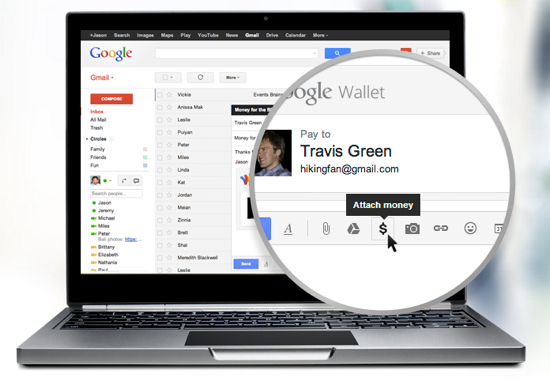 In fact, if you’ve looked at your Gmail today, you may already have the new look and features. You may notice a button at the bottom right that will enable the new interface. Here’s some details on the new look. Themes now support HD images and there is a new “smarter navigation” panel on the left hand side of the display that is customizable. Google also added a drop-down search box for more accurate email searches. 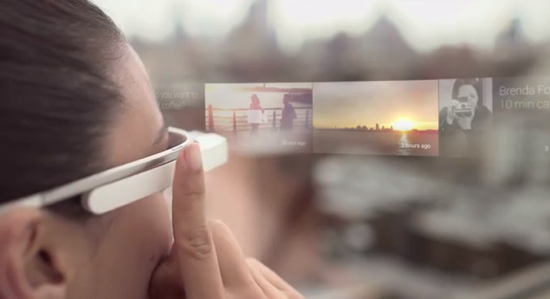 Check out Google’s video that explains even further (with visuals!) after the break. 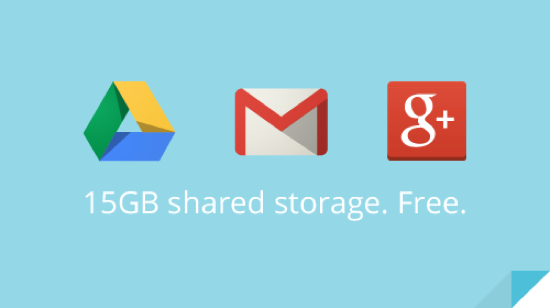 This news should make you feel safe about your Gmail accounts. Might be time to change those passwords that contain your birthday and your kids names. Why are we so paranoid? Read on. Several high-profile accounts were reportedly hacked including senior U.S. government personnel, Chinese political activists and government officials from South Korea. The actual hack was a phishing scheme that prompted users to enter their user names and passwords on a web page. “It’s important to stress that our internal systems have not been affected—these account hijackings were not the result of a security problem with Gmail itself,” Google said on its official Gmail blog. So again, check those passwords and make them more complex. Also, don’t ever trust anyone who sends you an email asking for your password or other personal information. No legitimate website or company will ever do that. 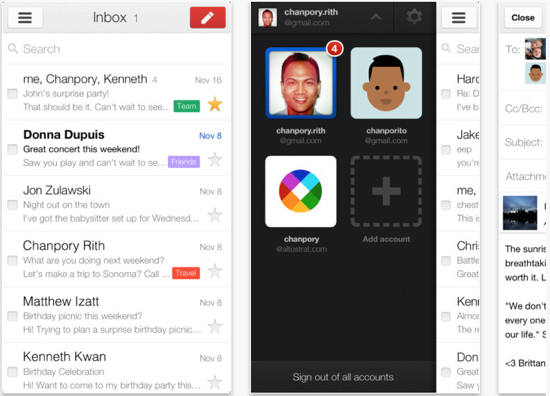 Late yesterday Google released an update to its Gmail Android application for smartphones. The update brings with it several bug fixes, improvements, and feature additions. The biggest improvements/changes include enhanced priority inbox support, an improved compose email feature, and in-line rely responses. With priority inbox support, users can now see importance markers in the main message list and rank messages right from their device. That is if you actually use priority inbox. The new compose feature will allows users to switch between reply, reply all, and forward while in the compose screen as well as set the outgoing account on the fly if they have more than one Gmail account on their devices. In-line message replies work similarly to how they work in the traditional Gmail interface. 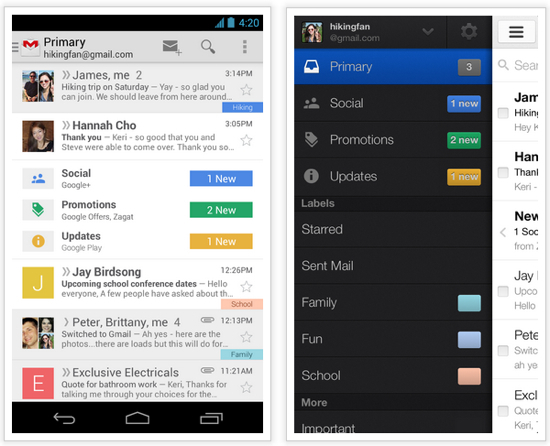 The new Gmail application, which carries the designation of version 2.3.2, is available in the Android Market now. So far the update seems to be working fine on our test HTC Incredible. We’ll let you know if something breaks. Good news for those of you currently using something other than an iPhone and in particular users of Android powered devices. Google has, in their infinite benevolence, updated the Gmail application for Android and has given it some new features and fixed a few bugs. Some of these new and improved goodies include message actions sticking to the top of the screen while scrolling, view previous messages more easily like with the desktop client, performance boost for most features and limited support for Priority Inbox. Although, as someone who really didn’t take to Priority Inbox when it came to the desktop Gmail app, I’m not that excited about that particular part of the update. Still, it’s nice to see that Google seems to be on top of it when it comes to improving the user experience on Android powered devices. With the recent (or pending for some of you) update to Android 2.2 (aka Froyo), Google seems to be on a path of improvement for its software. As an Android smartphone user, I couldn’t be happier about it. The update is in the Android Market and available for all those running Android 2.2.